A Sargent Steam Cleaner melts away boot rubber from tailpipes, bugs of the windscreen, brake dust and road tar off the tires. Watch this video for a brief introduction about how to clean a mototcycle with a Sargent Steam Cleaner. 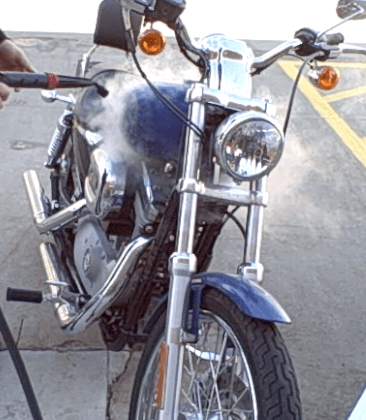 Now that you’ve got the idea, let’s see more about how to clean a motorcycle with a sargent Steam Cleaner.